Windsor's Barley & Bine Beer Café's craft beer and comfort food combo is exactly what you were looking for for your next Sonoma County outing. As Sonoma County’s beer scene grows ever more inventive, it’s always fun to see something entirely new happening with suds — so welcome Barley & Bine Beer Café. Along with 38 local craft beers and ciders on tap, Barley & Bine offers noshes like tater tots in a variety of recipes. Yep, tater tots. Plain with ranch dressing, or dusted in garlic, parsley, and cheese. 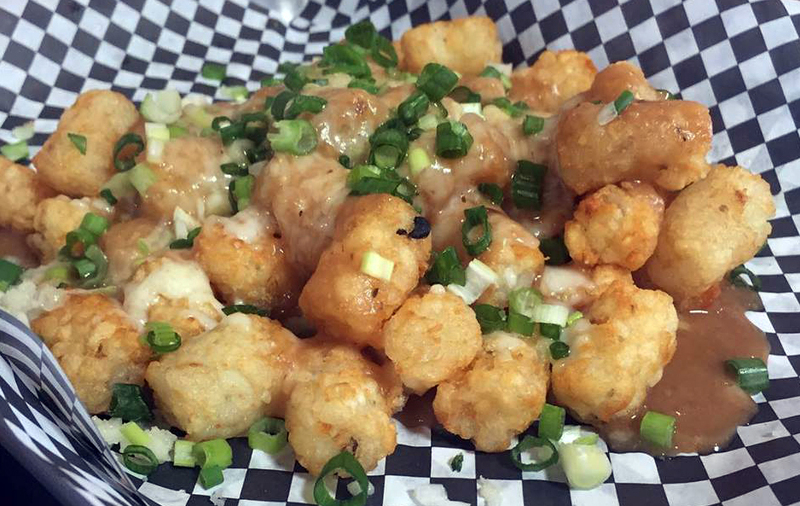 My favorite is the tater tot poutine, smothered in mozzarella, housemade gravy, green onions, and bacon or pulled pork. Then, there’s the Oh No You Didn’t flatbread topped in tater tots, bacon, mozzarella, cheddar, green onions, and chipotle ranch. According to Barley & Bine owner Jeff Reitz, the snackable spuds are natural partners for a chilled brew. He and his wife Lindsay Osborne like tots and like beer, so a business was born. Debuted this spring on Bell Road west of Highway 101 (near St. Florian’s Brewery, by the way), the pub features a rotating lineup of craft beer, including limited and hard-to-find brews in a variety of styles and flavors. Focusing on California producers, some Sonoma County sources include Woodfour Brewing of Sebastopol and Cooperage Brewing Company of Santa Rosa. 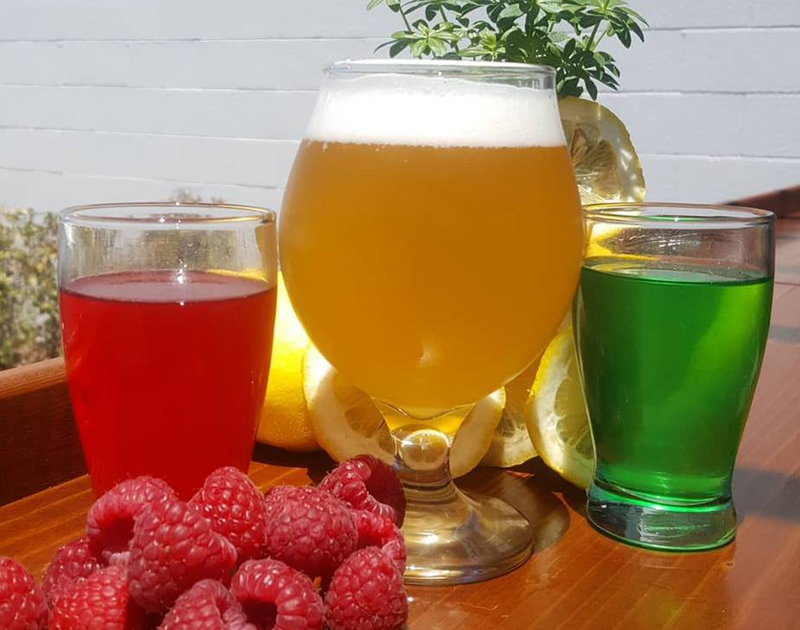 Reitz and Osborne also tweak other brews, such as adding house made traditional raspberry or woodruff syrup to a Jack Rabbit Brewing Company Berliner Weisse. The syrup lightly sweetens the low ABV, tart German wheat beer. Of course, a restaurant doesn’t live on tater tots alone, so the kitchen also sends out snacks like housemade Chex Mix, soft pretzels with beer cheese sauce, and quesadillas stuffed with goodies like cheddar, mozzarella, salsa, sour cream, chicken, cider braised barbecue pulled pork, and/or avocado. 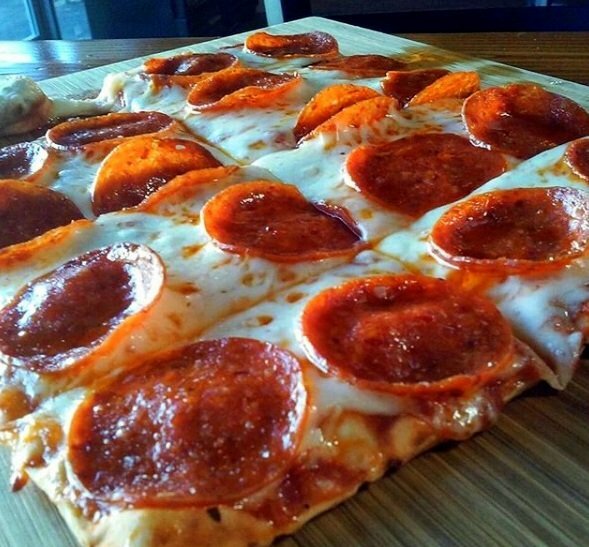 Flatbreads are stars, too, in eight recipes baked big and square and served on wood boards. The Nice to Meat You brims with salami, pepperoni, sausage, mozzarella, and marinara sauce, while the Greek keeps vegetarians happy with its artichoke hearts, kalamata olives, roasted tomatoes, feta, mozzarella, green onions, and garlic olive oil. Despite all the beer, Reitz and Osborne want guests to know their concrete block and wood plank trimmed tasting room is family friendly. To that end, there is a “half pints” menu of kid-friendly items including a grilled cheese sandwich served with potato chips, Gogurt, or, you guessed it, tater tots. Barley & Bine Beer Café, 7765 Bell Road, Windsor, 707-657-7774.